The US' attempts to prevent the implementation of the "Nord Stream-2" project with Poland have failed. Now Washington is looking for other ways to achieve its goal, with US Vice President Joe Biden trying to persuade Sweden to refuse the issue of official permits, relevant for the construction of the pipeline. US Vice President Joe Biden may try to put pressure on Swedish Prime Minister Stephen Loefven during the talks in Stockholm, Swedish newspaper Svenska Dagbladet wrote. Earlier, Biden made a statement saying that "Nord Stream-2" is a bad deal for Europe. The US presents the construction of the gas pipeline as Russia's attempt to divide the European countries as well as deprive Ukraine of future revenues from gas transit, the newspaper noted. On the other hand, the newspaper noted, that there are no signs of Sweden planning to prevent the construction of the "Nord Stream-2". The implementation of the gas pipeline is going on according the previously approved schedule. Nevertheless, if the problems with Sweden occurred, there would be a much more serious situation in contrast to that with Poland as "Nord Stream-2" goes through the territorial waters of Sweden. "We can't bypass the negotiations with Sweden. This threat is far more important than the story with Poland. Without the permission of the Swedish government, we won't be able to build the marine part of the pipeline in its waters. To change the route and go around would be difficult," director general of the National Energy Security Fund Konstantin Simonov told the newspaper Vzglyad. The expert believes that Swedes could actually follow US' demands and hinder the implementation of the energy project. "Sweden has long been under a strong US influence," Simonov said, cited by gazeta.ru. "However, the Stockholm decision against NS-2 would discredit the European legislation," he added. Earlier, Sweden issued all necessary permits for a similar project, "Nord Stream-1", which was launched in 2011 and still works flawlessly. "If now Sweden opposes NS-2, this would mean applying double standards. This would mean that the decision is politically motivated," Simonov said. According to gazeta.ru, the US has enough motivation to hinder the energy project. First, it supports Ukraine which will be economically weakened and deprived of transit revenues if NS-2 goes through. Secondly, Washington seeks to prevent the strengthening of Germany, which would benefit from the new pipeline, as well as ensure the supplies of its own gas to Europe. The Nord Stream-2 project aims to deliver 55 billion cubic meters of Russian natural gas a year to the European Union across the Baltic Sea to Germany, bypassing Ukraine, the Baltic nations and Poland. 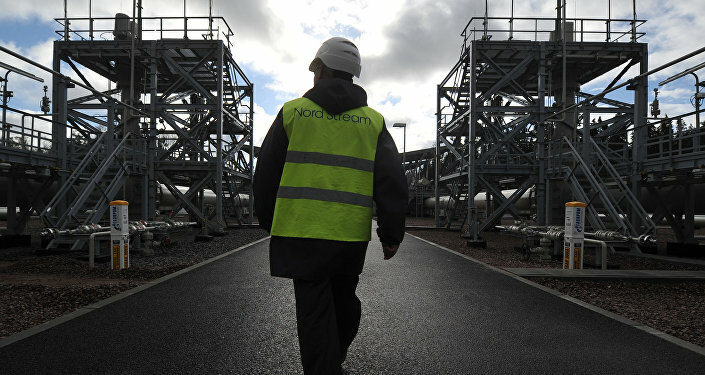 The gas pipeline project plans to use the original Nord Stream pipeline for 86 percent of the route before branching off. Denmark is expected to join the project in 2017.